Another page on this website addresses how to determine and use scholarly resources, which I recommend that you read or skim prior to this page. This page focuses specifically on how to use certain types of resources available on the internet. In recent years, a number of new resources such as Academia.edu and Research Gate have emerged. These are wonderful resources that I regularly encourage my students to familiarize themselves with them. However, they are not without their challenges and limitations. Not every paper on these resources is scholarly. For example, many students post class papers on these websites and some scholars post papers that they were not able to get published through the peer review process. Thus, some critical thinking is still necessary to determine whether these resources are appropriate to cite in a paper. Additionally, there is debate about what can be appropriately, and even legally, posted on these websites. Typically, there are standards established by the journal or publishers about what can be posted to sites such as these. For example, many journals allow for prepublication versions of articles or chapters to be posted, but not the final versions. As these versions are prior to the final copy-editing, there are often some minor variations from the published version. When citing these in a paper, it is best to track down the final published version, especially if quoting from the article or chapter. Many journals do allow for the original article to be posted after a specified amount of time has transpired since the publication. If you want to post your own published articles, it is strongly advisable that you check with the particular journal or publisher about their standards for posting your article or chapter online. These often are in the contributor agreements you have to sign prior to publication or available online. One of the benefits of these sites is that they allow for some papers to be resurrected from the academic graveyard. For example, conference papers generally are considered to be peer-reviewed (even though it is just the abstract that is peer reviewed) and a minor publication. Scholars often spend a great deal of time on these papers and historically the scholarship from these papers was only accessible to the few who were able to attend the conference and their sessions. These websites help make accessible a lot of good scholarship that was previously lost. While I encourage students to use these websites, it is also important to use due caution. Do not assume that everything published on these sites could be considered a scholarly resource and be sure to track down the best version of papers found on these sites when citing them. 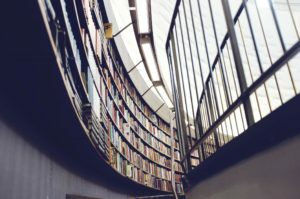 Many students erroneously assume that if it is on a university website, a profession organization’s website, a scholar’s website, or other similar websites, that it is a scholarly resource. Most of the time, this is not accurate. Scholars sometimes post conference papers, pre-publication versions of journal articles, and similar resources on their faculty page or on their own website. These are scholarly resources. However, they often also post other material. Frequently, this is written for a broader audience and rarely is it peer reviewed. If something is open access, then you must bear the burden of proof in establishing that it is a scholarly resource. Let me give a few examples. I wrote for the New Existentialist Blog on the Saybrook University website for a number of years. There are some great articles on this website and, if you are interested in existential psychology, I highly recommend you check it out. None of it–not even blogs written by well-respected scholars–is a scholarly resource. Similarly, on the American Psychological Association and other websites, there are often interviews with scholars and short articles. These can be very interesting and useful; most are not scholarly resources. They may point you to some good scholarly resources, but do not mistake an interview with a scholar about his book or journal article with the actual scholarship. In fact, these often are included on the websites to encourage people to read the original research, not replace it. It also may be intended to translate the research into something that a general audience could understand, thus it is not written for a scholarly audience. As a tip to students, when I grade paper, I often read the reference section first. If I notice a high percentage–sometimes even all–the articles are from sites that are open access on the internet, then I am concerned. When most resources are open access it suggests the student maybe did not make the effort to use the library resources to find more appropriate scholarly resources and instead took a shortcut. I look up online references to determine if they are scholarly, and view this as a teaching opportunity. For students, it easier to learn this in advance. Wikipedia has quite a bad reputation in academia. For many professors, citing Wikipedia or similar resources has become one of their biggest irritations when grading papers (I am included in this list!). While I would strongly suggest never citing Wikipedia or similar resources in an academic paper, this does not mean that these resources are useless. Similar to introductory textbooks, you can use the references on Wikipedia to locate good, scholarly references for your paper at times. I would strongly encourage you to never let this replace doing your own library search, which is an essential part of good scholarship. However, this can be an appropriate supplement to doing a library search at times.